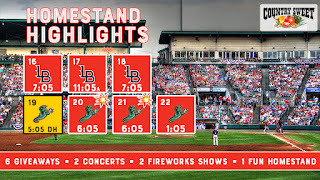 ROCHESTER, N.Y. -- After 10 LONG days away from the friendly confines, the Red Wings return to Frontier Field for a eight-game, seven-day homestand that features SIX giveaways, TWO post-game concerts and TWO fireworks shows! 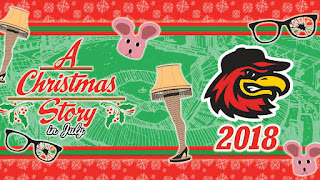 Tickets to any game can be purchased at the Red Wings Ticket Office, over the phone at (585) 423-WING (9464) during normal business hours or around-the-clock at RedWingsBaseball.com. NAKED MOLE RAT CAP GIVEAWAY - The first 1,000 fans will get this one-of-a-kind Naked Mole Rat cap courtesy of Seneca Park Zoo. The Naked Mole Rat is one of several new animals coming to the zoo in August as part of the "Animals of the Savanna" expansion. More INFO here! T-SHIRT TUESDAY - The first 500 kids (14 & under) will get a FREE Red Wings t-shirt courtesy of Zweigle's. FAN 4-PACK - Get 4 reserved tickets, 4 hot dogs, 4 sodas and a yearbook for just $40 ($44 day of game) presented by M&T Bank and Messenger Post Media. 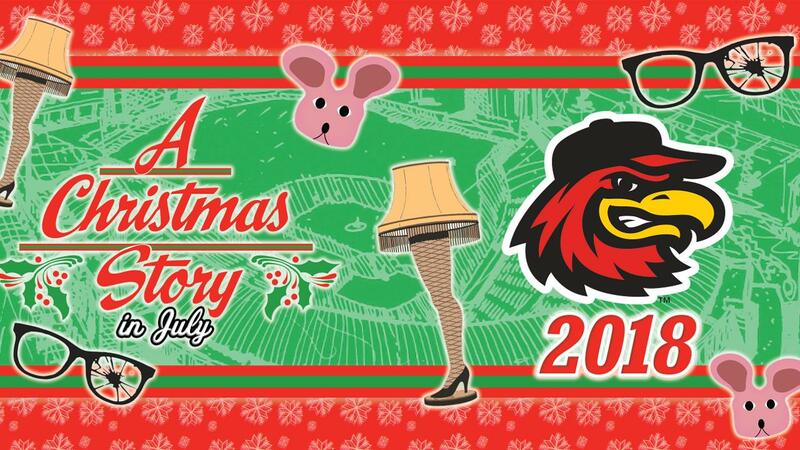 A CHRISTMAS STORY IN JULY - We're celebrating the 35th anniversary of "A Christmas Story" this July. The first 1,000 fans will receive an ornament presented by Basch & Nickerson LLP. Santa and his sleigh will be in attendance as well. Bring a new, unwrapped toy to donate to Hillside's Special Santa Program and receive a voucher for $2 off a ticket to another Wings game in 2018! $1 WEDNESDAY - Get $1 hot dogs, peanuts, Cracker Jack and chips every Wednesday courtesy of Zweigle's, DiPaolo Baking Company and Democrat & Chronicle. PLATES FLAG GIVEAWAY - The first 1,000 fans will receive this 3' x 5' Plates Flag courtesy of Rochester Precision Optics. Rochester Precision Optics is hiring! 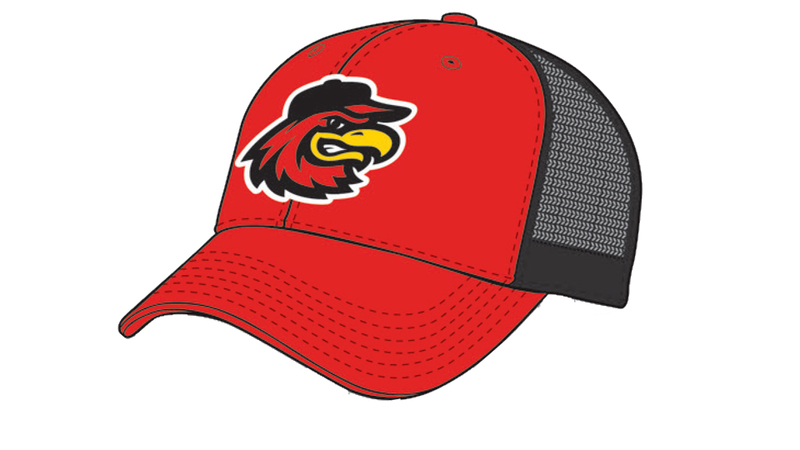 Bring your resume to their table in the main breezeway and get a baseball cap from them. DENNY MCLAIN AUTOGRAPHS - Baseball's last 30-game winner will sign autographs at Frontier Field on July 19 and July 20! McLain won 31 games in 1968 on his way to winning the 1968 Cy Young and AL MVP award. He would go on to win the Cy Young award again in 1969. On Thursday, he will sign from 4:00 - 4:45 pm and again from 5:15 - 6:00 pm. THIRSTY THURSDAY HAPPY HOUR - We'll have $2 Bud and Bud Lights from 6:00 - 7:00 pm out at the 10th Inning Bar. Genesee Saw will play out at the 10th Inning from 4-5 pm and again in between games. COLLEGE NIGHT - Every Thursday - college students with a valid college ID can get a reserved ticket AND $5 Diamond Dollars for ONLY $10! ROCHESTER PHILHARMONIC ORCHESTRA CONCERT - The great RPO will perform a post-game concert immediately following the game! POST-GAME FIREWORKS - Following the concert stick around for a fireworks show presented by the Doan Family of Dealerships. DENNY MCLAIN AUTOGRAPHS - Baseball's last 30-game winner will sign autographs at Frontier Field on July 19 and July 20! McLain won 31 games in 1968 on his way to winning the 1968 Cy Young and AL MVP award. He would go on to win the Cy Young award again in 1969. On Friday, he will sign from 5:00 - 5:45 pm and again from 6:15 - 7:00 pm. CAP GIVEAWAY - The first 2,000 fans will receive a Red Wings cap courtesy of Segar & Sciortino! POST-GAME COUNTRY CONCERT - The local, modern country band "Branded" will perform a post-game concert. They cover such acts as: Jason Aldean, Florida Georgia Line, Keith Urban, Luke Bryan, Thomas Rhett, Zac Brown, Blake Shelton, Chris Stapleton and more! 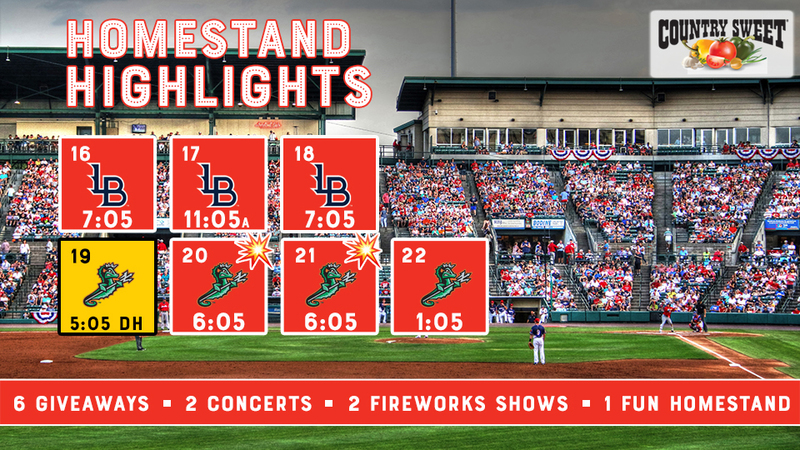 POST-GAME FIREWORKS - Stick around after the game for a fireworks show presented by ESL Federal Credit Union! MILITARY APPRECIATION NIGHT - If you are a veteran or active member of the military please contact the Veterans Outreach Center in Rochester at (585) 546-1081 for info how to get FREE tickets to the game. The Wings will be wearing special jerseys courtesy of Basch & Nickerson LLP and Recon Rings which will be auctioned off to benefit Children of Fallen Soldiers Relief Fund. FIRST RESPONDERS APPRECIATION DAY - All first responders can receive FREE tickets to this game courtesy of Genesee Valley Motors! CLICK HERE TO FOR MORE INFORMATION ON THE TICKETS. SUPERHERO DAY W/ CAPE GIVEAWAY - We'll be celebrating real life superheroes - police, firefighters and EMTs as part of First Responder's Day - and our favorite fictional superheroes will also be in attendance on this day! The first 500 kids will receive a Superhero Cape courtesy of Five Star Urgent Care. KIDS RUN THE BASES - All kids 12 and under will have the chance to run the bases with Spikes & Mittsy following each Sunday home game courtesy of the Burger Bar at Wegmans Pittsford. KNOT HOLE GANG KIDS CLUB DAY - Join the best kids club in baseball presented by Excellus BlueCross BlueShield and Messenger Post Media! For just $20 your child will receive 3 tickets good for any Sunday game during the '18 season, a members-only cap, membership card and lanyard and opportunities for cool VIP experiences like throwing out the ceremonial first pitch and being a guest PA announcer for an inning.